When broached about the subject on Saturday, LeBron James said his decision on whether he will return to the U.S. Men’s Olympic Basketball Team at the 2020 Olympics in Tokyo will largely depend on whether Spurs Head Coach and coaching legend Gregg Popovich takes over as head coach. 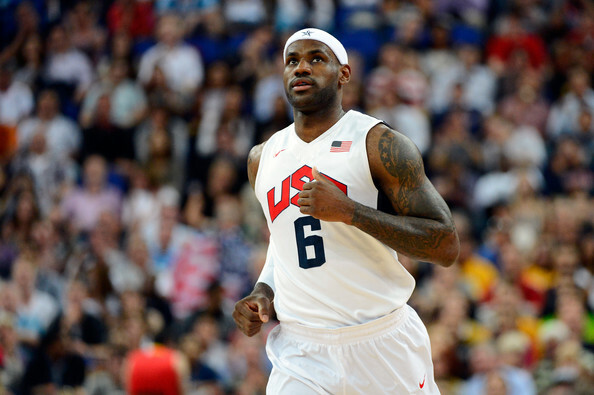 LeBron has won two gold medals in the 2008 and 2012 Olympic games and won a bronze medal in the 2004 games. He chose to sit out the 2016 Olympics in Rio to rest after leading the Cavaliers to the NBA championship, his third. LeBron has mentioned numerous times that he believes Popovich is the greatest coach in NBA history and is a mastermind of the game. Either way, one can only hope the 2020 USMNT is led by the greatest player and coach of the first 20 years of the 21st century.